In the area of real estate, a deed is a document that shows who the legal owners of a property are. It can also be used to convey ownership to another individual or party. 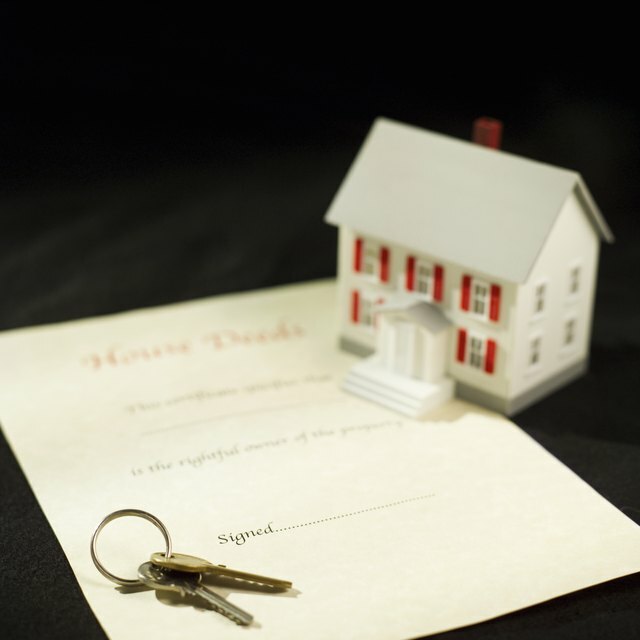 Two types of deeds that are commonly used in real estate are the grant deed and the deed of trust. While these two deeds share some common characteristics, they also have some key differences. These two types of deeds are used in completely different situations. With the grant deed, the owner of the property wishes to convey the property to someone else. With a deed of trust or trust deed, the property is pledged as collateral. This is similar to a mortgage agreement in which the lender can foreclose on the property if the borrower does not make regularly scheduled payments to them. Both of these deeds have a grantor and a grantee involved. When an individual use a grant deed to convey ownership of a property, they provide some warranties for the grantee. The grantor provides a warranty against conveyances and a warranty against encumbrances. The warranty against conveyances means that they have not previously transferred ownership of the property to anyone else. The warranty against encumbrances means that there are no encumbrances against the property such as a lien or an easement. There are different types of grant deeds, including an interspousal deed, which is commonly used between spouses, typically during a divorce. The deed of trust, also known as a trust deed, is a type of deed that is only used in certain states. Some states require this type of arrangement instead of using a traditional mortgage when buying a house. With this process, the buyer of the house gives the deed to the property to a mortgage lender. The mortgage lender that has to keep that deed and can only sell foreclose on the house and sell it if the borrower fails to meet the terms of the loan agreement. States that typically use trust deeds are Alaska, Arizona, California, Colorado, Idaho, Illinois, Mississippi, Missouri, Montana, North Carolina, Tennessee, Texas, Virginia and West Virginia. Some states may use either a trust deed or a mortgage such as Kentucky, Maryland and South Dakota. Both of these deeds have some specific legal requirements that must be met before they can be considered as valid. Both of these deeds have to have the signatures of both the grantor and the grantee involved in the transaction. The deed also has to be filed with the local county recorder's office so that it can become a matter of public record. Many people use the assistance of a real estate lawyer to help draft this document so that it can be upheld in court. Free Advice: What is a Deed of Trust?